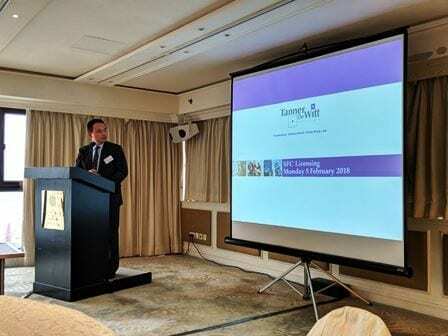 Partner Edmond Leung spoke at the Transnational Taxation Network’s Tax Conference, held today 5 February at The Park Lane Hotel in Causeway Bay. Edmond’s talk covered many important aspects of SFC Licensing, the Securities and Futures Ordinance and important considerations when selecting and appointing Managers-in-Charge (MICs). Edmond’s audience was made up of taxation and corporate professionals from all over the region. The TTN (Transnational Taxation Network) is a multi-disciplinary association of tax, accounting and trust practitioners who have practical interest in international tax on a corporate and personal basis. The objects of TTN are to provide information and networking opportunities with tax colleagues in various international jurisdictions. Edmond specialises in corporate and commercial matters, advising clients operating in and out of Hong Kong, and in a wide range of industries. Edmond advises on mergers, acquisitions, disposals, joint ventures, re-organisations, private equity transactions, the establishment of funds including private equity, venture capital and hedge funds, and banking and finance matters. Edmond also advises on general corporate and commercial matters including the establishment of companies and businesses, franchise, commercial agency and distribution arrangements, and other commercial agreements. 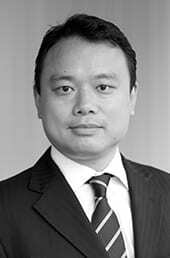 In addition, he advises on regulatory and compliance matters including in relation to financial services.